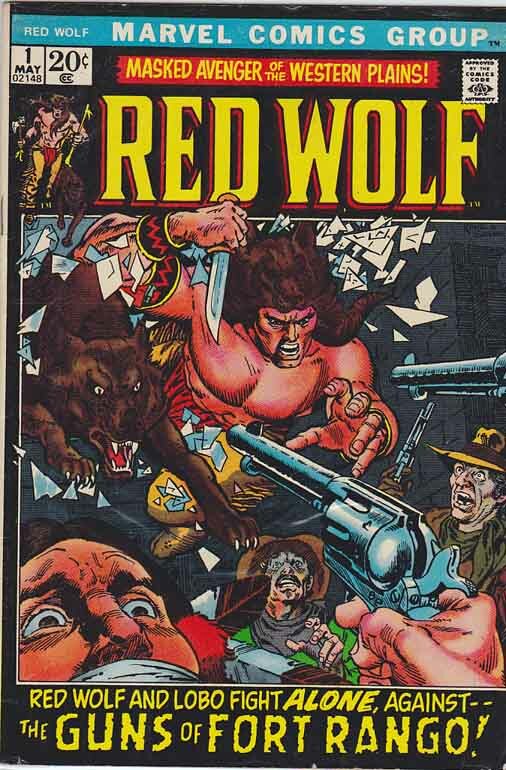 Red Wolf #1 1972. Gil Kane Cover Art. Roy Thomas Story. Stan Lee Editor. series continues from Marvel Spotlight #1. A Thunder Of War Drums!